Clicker Training? Yes. It’s Important For Dogs. Studies suggest that a well-trained dog is a happy dog; there are fewer restrictions on them. They can enjoy their freedom as owners know that they are responsible dogs. Training is important for the well being and health of your dog. Emotional support dogs also require training to deal with the mental instability of their owners. The best part is that most domesticated dog breeds are very easy to train and you can do it yourself by following the instructions correctly. What Is The Clicker Method? This method is a form of operational training, which uses a clicking sound to control the dog’s behavior and train it. In simpler terms, clicker training requires the owner to carry a plastic clicking toy with them and every time the dog does th e right thing the clicker is clicked and a treat is delivered to the good boy/girl. 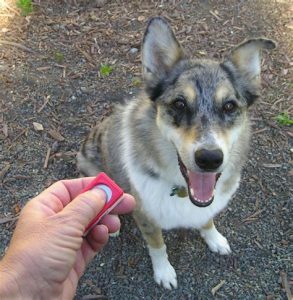 If you do not want to carry a clicker with you, you can always use verbal cues and sounds to inform your dog of its desirable behavior. This technique is mostly used by dog trainers but can be applied to training any domesticated animal. Dogs learn well by association and clicker training is a good way of associating the right behavior with the click. Here are a few reasons why clicker training might be the right method for you. Training is more like playtime for your dog where it has your undivided attention. Clicker training provides the right kind of stimuli for the right behavior. Slowly you will start to notice that your dog is trying to score points by introducing new behaviors and doing new things in hopes of getting the click. Trainers for dog competitions and dog sports praise the effectiveness of this method. They are able t teach dogs anything, from dance routines to dialing 911 on the phone. Human speech patterns are affected by time and surroundings which can send mixed signals to your dog. 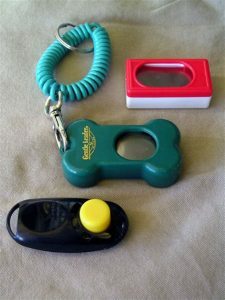 The clicker, however, remains the same and your dog will associate it with the right behavior. The only challenge for the trainer here is to perfect the timing for example, when you call out your dog’s name make sure to click when it starts turning its head towards you, not a second before that or a second after that. Clicker is considered a purely positive form of reinforcement, as it uses fun, food, and games. It is a science-based method which uses the rules of association; dogs will associate the sound of the clicker with a treat or a belly rub and are inclined to get as many of those as possible. Studies show that dogs who are taught using the clicker training method often try to go the extra mile. Clicker method is one of the best methods to raise a puppy and even train an older dog. 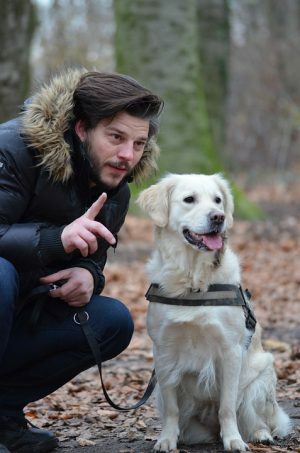 Emotional support animals can benefit hugely from this training technique as it focuses on positive reinforcement and is sure to keep your dog in a good mood. Clicker method is fun and suitable for larger families with more than one child, as the dog will not get confused with instructions rather enjoys its time with each family member. 1 What Is The Clicker Method?